Cherry Hill has been named one of the 10 best Philadelphia Suburbs for Young Couples by real estate website Movoto! The company selected three separate census areas within the Township for its list, based on several factors, including the number of residents ages 22-34; number of children under age 5; affordability and employment rates. With our vibrant neighborhoods, easy access to shopping, high-level Township services, and elite public school system, Cherry Hill is the perfect place for people of all ages, especially young families. I’m proud to see Cherry Hill at the top of this list. Click here to learn more. Officers from the Cherry Hill Police Department will be cracking down on distracted drivers during April as part of the national UDrive. UText. UPay. enforcement campaign. From April 1 to 21, this high-visibility law enforcement initiative will target motorists who engage in dangerous distracted driving behaviors such as talking on hand-held cell phones and sending text messages while driving. The campaign coincides with April's recognition as National Distracted Driving Month. Click here for more information. Celebrate National Poetry Month with a poetry art project inspired by Newspaper Blackout, by Austin Kleon. We make our own "Book Page Poetry." All supplies provided. No registration. Join Bedtime Math's Crazy 8s, where you build stuff, run and jump, make a mess... it's a totally new kind of math club. You'll get to do mischief-making activities like Glow-in-the-Dark Geometry, Bouncy Dice and Toilet Paper Olympics, and you'll get to take home some cool gadgets too! 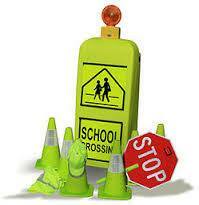 For grades 3-5. Must register for each session separately. Click here to visit the online events calendar to select which Wednesday(s) to attend. Join us for traditional Japanese story telling. Learn about Kamishibai and then we'll create our own story as a group. Open to grades 1-5. Registration required. Click here to register. Happy Peeps season! Enter our 5th annual Peep diorama contest (inspired by the Washington Posts' Peep Show). Prizes will be awarded for most original, best design, and best overall. We'll provide the supplies, you bring the creativity! Space is limited. Open to grades 4-8. Registration required. Click here to register. The Friends of the Cherry Hill Public Library proudly present a special concert event. Enjoy the music of Benito Meza, clarinet and Jordan Dodson, classical guitar. Tickets are $10 each and are available in the Friends Gift Shop or by mail. Click here for an order form. The Successful Failures - Free Concert! The Successful Failures are a NJ Americana/Indie-Rock band, serving up songs about prison, astronauts, vikings and armadillos. Most of the time, SF performs as a four-piece rock n' roll band, but for CHPL they'll be playing as an acoustic trio featuring guitar/mandolin/cajun-percussion and some righteous vocal harmonies. Check them out! This event is free and open to the public. The Friends of Barclay Farmstead will host their spring luncheon and general membership meeting at 11:30 a.m. Thursday, April 16, at Tavistock Country Club. Join the Friends for a special presentation on Wedding Customs and Traditions by Jane Peters Estes, and explore "typical" wedding customs such as rings, bridal gowns and veils, with a focus on the Victorian era. Enjoy a delicious lunch, cash bar, special prizes and door prizes. Tickets are $38; reservation requests due April 10. Click here to download a registration form. For questions, call (856) 258-2802. Congratulations to all six Cherry Hill Public Schools that participated in this year's RecycleBank Green Schools contest! Thanks to the generosity of our community, Cherry Hill East, Beck Middle School and Barton, Bret Harte, Cooper and Kilmer Elementary Schools each raised 100 percent of their fundraising goals -- a combined total of more than $15,000 in funding for environmental education! This year's schools developed interesting and original ideas to reduce waste and lessen their environmental impact. We're proud to see such a successful showing from our local schools, and we look forward to celebrating with our winners in the coming months! To learn more about Green Schools or our local schools' projects, visit www.RecycleBank.com/contest. Cherry Hill and Camden County have partnered to offer free Chair Yoga and Meditation classes for Township residents ages 55 and up. These classes are designed to help incorporate healthy activities into your day, and are open to seniors of all experience levels. Chair Yoga will take place from 1-2 p.m. Wednesday, April 8 and 22, and again on Wednesday, May 6 and 20. Meditation classes are 1-2 p.m. Wednesday, April 15, 29, and May 13 and 27. Both programs will take place in the N. John Amato Council Chambers (Room 208) at the Municipal Building, 820 Mercer St. Class size is limited; for more information or to sign up, call (856) 488-7868, or email Recreation@chtownship.com. The Croft Farm property in Chery Hill is home to our region’s only dedicated Arts Center owned by a municipality. The Arts Center hosts a variety of classes and programs for residents of all ages including adult classes in language, water color, beading, stained glass, tai chi and gentle yoga. Additionally, the Cherry Hill Arts Board hosts monthly luncheons in the spring and fall. These events cost only $5 to attend and feature a movie or live entertainment and include lunch. If you haven’t yet visited the Croft Farm Arts Center, now is the time. Our spring schedule includes a comedy show, two luncheons, an art exhibit and an ensemble concert featuring the music of Carole King and James Taylor. For complete details of upcoming events, please visit our online calendar at www.CherryHill-NJ.com. For more information on this or other senior-related issues in Cherry Hill, contact Senior Services Program Coordinator Gaye Pino at (856) 661-4800 or gpino@chtownship.com. Earth Festival: How can you help the planet this April? While the Township and our partners plan for the 6th Sustainable Cherry Hill Earth Festival Saturday, April 25 at Croft Farm, we encourage you to consider actions you can take during April as we celebrate the 45th anniversary of Earth Day. To learn about actions that help preserve the planet, the non-profit international Earth Day Network offers suggestions ranging from reducing energy consumption to buying local produce. At the April 25th Earth Festival you can learn about saving energy in your home; up-cycling home goods; food composting and much more. Plan to enjoy student and professional entertainers, the Phillie Phanatic, healthy food for purchase, green crafters and businesses and displays from Cherry Hill Schools. Celebrate-Learn-Grow at Earth Festival, 10 a.m. to 2 p.m. Saturday, April 25, at historic Croft Farm, 100 Bortons Mill Road. Click here for festival information and bike ride registration. The Cherry Hill Arts Board is seeking interested artists to submit artwork for the Art Blooms Juried Art Exhibit, May 2-15 at the Croft Farm Arts Center. Artists may enter up to 3 pieces for consideration, at $10 per piece. A detailed prospectus can be found online at http://cherryhillarts.blogspot.com [http://cherryhillarts.blogspot.com/] . Look for more information on this year's Art Blooms events in the weeks to come! For questions or more information, please e-mail Arts@CHTownship.com or call (856) 488-7868. Cherry Hill has been named one of the 10 best Philadelphia Suburbs for Young Couples by real estate website Movoto! The company selected three separate census areas within the Township for its list, based on several factors, including the number of residents ages 22-34; number of children under age 5; affordability and employment rates. With our vibrant neighborhoods, easy access to shopping, high-level Township services, and elite public school system, Cherry Hill is the perfect place for people of all ages, especially young families. I’m proud to see Cherry Hill at the top of this list. Click here [http://www.cherryhill-nj.com/CivicAlerts.aspx?AID=720] to learn more. Hill West at 7 p.m. April 16 for a special, free discussion about "Grit"
or e-mail Alliance@chtownship.com [mailto:] . Click here [http://www.ted.com/talks/angela_lee_duckworth_the_key_to_success_grit?language=en] to watch Dr. Duckworth's "True Grit" TED Talk. Click here [http://www.cherryhill.k12.nj.us/departments/publicinfo/files/AngelaDuckworthFlyer.pdf] for details about April 16. 488-7868. Click here [https://www.facebook.com/media/set/?set=a.241277469399801.1073741839.153392904854925&type=3] for photos of last year's event. Officers from the Cherry Hill Police Department will be cracking down on distracted drivers during April as part of the national UDrive. UText. UPay. enforcement campaign. From April 1 to 21, this high-visibility law enforcement initiative will target motorists who engage in dangerous distracted driving behaviors such as talking on hand-held cell phones and sending text messages while driving. The campaign coincides with April's recognition as National Distracted Driving Month. Click here [http://www.cherryhill-nj.com/CivicAlerts.aspx?AID=721] for more information. Celebrate National Poetry Month with a poetry art project inspired by Newspaper Blackout, by Austin Kleon [http://newspaperblackout.com/] . We make our own "Book Page Poetry." All supplies provided. No registration. Join Bedtime Math's Crazy 8s, where you build stuff, run and jump, make a mess... it's a totally new kind of math club. You'll get to do mischief-making activities like Glow-in-the-Dark Geometry, Bouncy Dice and Toilet Paper Olympics, and you'll get to take home some cool gadgets too! For grades 3-5. Must register for each session separately. Click here to visit the online events calendar [http://host6.evanced.info/cherryhill/evanced/eventcalendar.asp] to select which Wednesday(s) to attend. Join us for traditional Japanese story telling. Learn about Kamishibai and then we'll create our own story as a group. Open to grades 1-5. Registration required. Click here [http://host6.evanced.info/cherryhill/evanced/eventsignup.asp?ID=6375&rts=&disptype=&ret=eventcalendar.asp&pointer=inhouse&returnToSearch=νm=0&ad=&dt=mo&mo=4/1/2015&df=calendar&EventType=ALL&Lib=&AgeGroup=ALL&LangType=0&WindowMode=&noheader=&lad=&pub=1&nopub=&page=&pgdisp=] to register. Happy Peeps season! Enter our 5th annual Peep diorama contest (inspired by the Washington Posts' Peep Show). Prizes will be awarded for most original, best design, and best overall. We'll provide the supplies, you bring the creativity! Space is limited. Open to grades 4-8. Registration required. Click here [http://host6.evanced.info/cherryhill/evanced/eventsignup.asp?ID=6371&rts=&disptype=&ret=eventcalendar.asp&pointer=inhouse&returnToSearch=νm=0&ad=&dt=mo&mo=4/1/2015&df=calendar&EventType=ALL&Lib=&AgeGroup=ALL&LangType=0&WindowMode=&noheader=&lad=&pub=1&nopub=&page=&pgdisp=] to register. The Friends of the Cherry Hill Public Library proudly present a special concert event. Enjoy the music of Benito Meza, clarinet and Jordan Dodson, classical guitar. Tickets are $10 each and are available in the Friends Gift Shop or by mail. Click here [http://www.chplnj.org/friends/documents/APRIL%202015%20CONCERT%20FLIER.pdf] for an order form. The Successful Failures [http://www.thesuccessfulfailures.com/blog-wp/] are a NJ Americana/Indie-Rock band, serving up songs about prison, astronauts, vikings and armadillos. Most of the time, SF performs as a four-piece rock n' roll band, but for CHPL they'll be playing as an acoustic trio featuring guitar/mandolin/cajun-percussion and some righteous vocal harmonies. Check them out! This event is free and open to the public. 10. Click here [http://www.cherryhill-nj.com/DocumentCenter/View/2677] to download a registration form. For questions, call (856) 258-2802.
local schools' projects, visit www.RecycleBank.com/contest [http://www.cherryhill-nj.com/admin/www.RecycleBank.com/contest] . Cherry Hill and Camden County have partnered to offer free Chair Yoga and Meditation classes for Township residents ages 55 and up. These classes are designed to help incorporate healthy activities into your day, and are open to seniors of all experience levels. Chair Yoga will take place from 1-2 p.m. Wednesday, April 8 and 22, and again on Wednesday, May 6 and 20. Meditation classes are 1-2 p.m. Wednesday, April 15, 29, and May 13 and 27. Both programs will take place in the N. John Amato Council Chambers (Room 208) at the Municipal Building, 820 Mercer St. Class size is limited; for more information or to sign up, call (856) 488-7868, or email Recreation@chtownship.com [mailto:Recreation@chtownship.com] . The Croft Farm property in Chery Hill is home to our region’s only dedicated Arts Center owned by a municipality. The Arts Center hosts a variety of classes and programs for residents of all ages including adult classes in language, water color, beading, stained glass, tai chi and gentle yoga. Additionally, the Cherry Hill Arts Board hosts monthly luncheons in the spring and fall. These events cost only $5 to attend and feature a movie or live entertainment and include lunch. If you haven’t yet visited the Croft Farm Arts Center, now is the time. Our spring schedule includes a comedy show, two luncheons, an art exhibit and an ensemble concert featuring the music of Carole King and James Taylor. 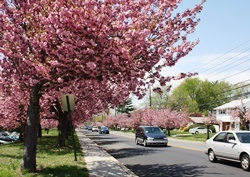 For complete details of upcoming events, please visit our online calendar [http://www.cherryhill-nj.com/Calendar.aspx] at www.CherryHill-NJ.com. For more information on this or other senior-related issues in Cherry Hill, contact Senior Services Program Coordinator Gaye Pino at (856) 661-4800 or gpino@chtownship.com [mailto:] . While the Township and our partners plan for the 6th Sustainable Cherry Hill Earth Festival Saturday, April 25 at Croft Farm, we encourage you to consider actions you can take during April as we celebrate the 45th anniversary of Earth Day. To learn about actions that help preserve the planet, the non-profit international Earth Day Network [http://www.earthday.org/takeaction/campaigns.html] offers suggestions ranging from reducing energy consumption to buying local produce. At the April 25th Earth Festival you can learn about saving energy in your home; up-cycling home goods; food composting and much more. Plan to enjoy student and professional entertainers, the Phillie Phanatic, healthy food for purchase, green crafters and businesses and displays from Cherry Hill Schools. Celebrate-Learn-Grow at Earth Festival, 10 a.m. to 2 p.m. Saturday, April 25, at historic Croft Farm, 100 Bortons Mill Road. Click here [http://www.sustainablecherryhill.org/get-involved/earth-day-festival/] for festival information and bike ride registration.